Welcome to Manchester’s base page! Welcome to the official page for the Manchester base. The dedicated team in Manchester are here to help you with any of your helicopter flight requirements. Please call directly on 0161 789 6110 to talk to us and see how you can start flying! 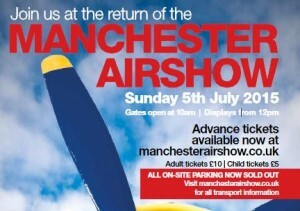 Come and join in with the fun at the Manchester Air Show! Gates are open 10am on Sunday 5th July 2015, with entry tickets priced at £5 per adult and £10 per child. Heli Air will be offering helicopter rides and sightseeing tours from our sales office, with tickets available to buy on the day. For more information see our Manchester Air Show event page or visit the official website to see all of the entertainment on offer to visitors. 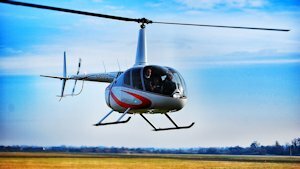 Exciting helicopter lessons and experiences are available from our Barton facility, where you can choose anything from a 15 minute introductory helicopter lesson experience to a full day of helicopter training! Click here to buy the helicopter training package which suits you. 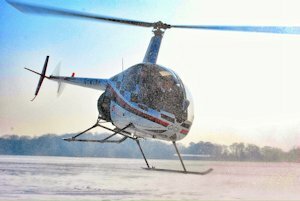 If you are interested in becoming a private helicopter pilot, Heli Air’s experienced and professional EASA approved instructors can train you from start to finish, even if you have never flown before. Click on the above link for more details on the course, or give us a call on the number above to learn how to get started. Heli Air can train you to become a Commercial Helicopter Pilot, as well as give you useful information and contacts to help you get your first job as a commercial helicopter pilot. We can train you from no flying experience to becoming a qualified CPL(H), or even a qualified helicopter flight instructor or FI(H). We are happy to train you at your own pace, and can even book you in on our ATPL(H) full time ground school course to help you through your ground examinations in 6 months. Click on the above links for more details, or call Heli Air for a chat with one of our experienced instructors. Where is Heli Air Manchester? The Manchester base is located at Manchester City Airport, often known as Barton Airport. We are ideally and conveniently located to provide helicopter training, tours, sales and experiences to support the local areas such as Greater Manchester, Chester, Cheshire, Liverpool, Blackburn, Wigan, Bolton, Lancashire, Rochdale, Warrington, Leigh and the surrounding regions.